A walk took place on Sunday 18 September to mark the opening of the newly reinstated Ranworth to Panxworth footpaths. Members of the parish had in previous years been discouraged from using the routes by local landowners and the reinstatement of the paths was led by members of the local parish and the Ramblers. 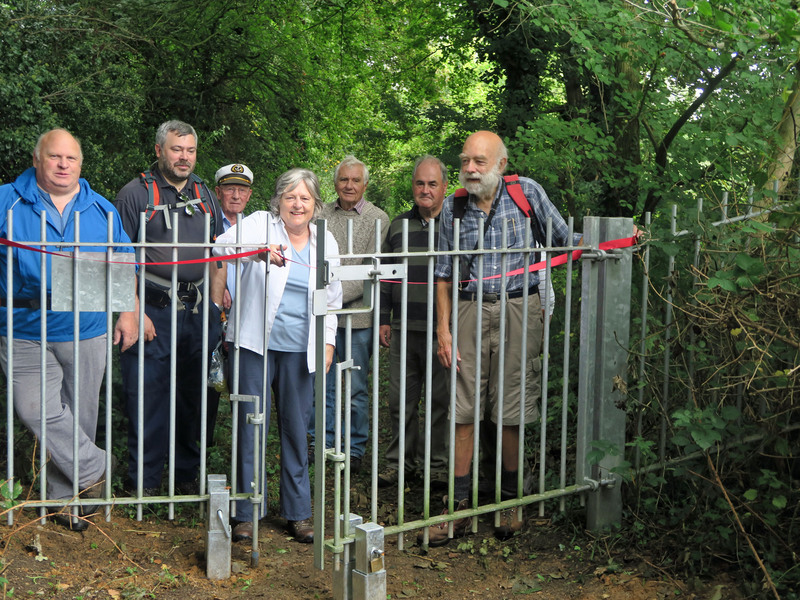 The newly reinstated path allows access between the two villages which doesn’t involve walking along the road, and is a shorter and more direct route. The route had commonly been used by those from Ranworth who caught public transport into Norwich from Panxworth, and also by school-children from Panxworth to get to Ranworth school, before its closure. As well as the reinstatement of the main route between the two villages, there is also a branch off which goes to the well kept churchyard of Panxworth church. The previously overgrown parts of the route have now been cut by Norfolk County Council, with new signage added. 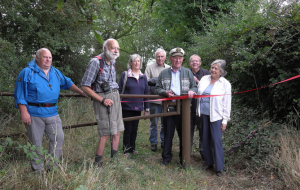 Members of the parish council were able to make an initial application to Norfolk County Council to open this route, with the support of the Ramblers. 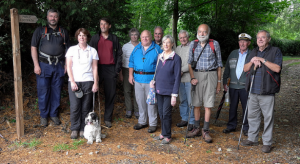 Members of the parish helped with completing user evidence forms, and with donations from several ramblers groups and an anonymous donor, money was raised to pay for a rights of way specialist to present the case at a public inquiry. Thanks to the work of everyone involved this meant that the Planning Inspector made a report in favour of securing the footpath as a public right of way. Sue Hitchcock, the chair of Woodbastwick Parish Council, has been instrumental in getting behind the project, and she was present at the event. “It’s been a really enjoyable walk and I enjoyed meeting members from the parish who I know will find the path useful. I’m sure that Ramblers groups from around the county, and beyond, will also make full use of the path in the coming years”. 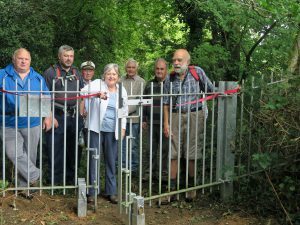 “The Ramblers are really grateful to everyone in the parish who has worked to help ensure that this right of way has been protected. It shows that by parishes and the Ramblers working together we are able to achieve positive results”. A more complete description of the walk will be featured in the Eastern Daily Press and Eastern Evening News next weekend (24-25 September 2016). 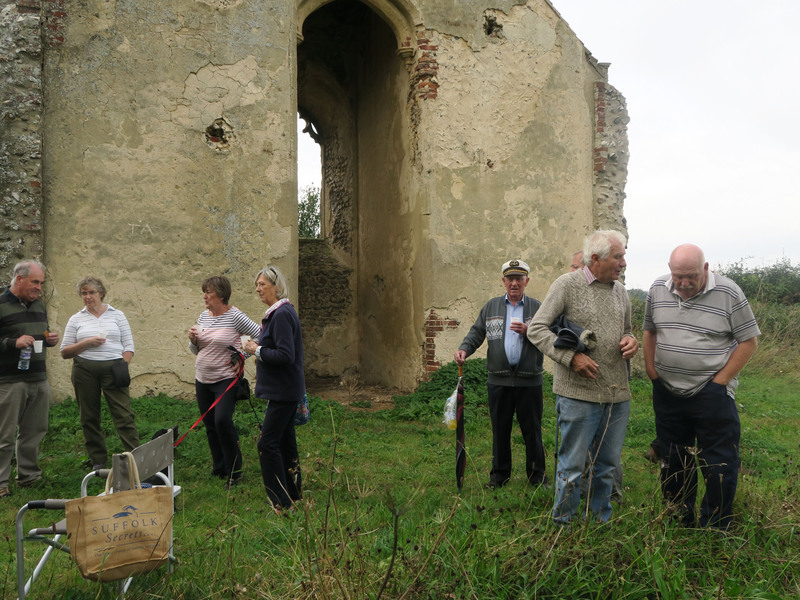 Below is a photo of the group at Panxworth church, a fascinating medieval church which was restored in the Victorian period. The congregation size wasn’t large enough to sustain it and the nave fell into disrepair in the late twentieth century, and was later demolished, leaving only the tower. 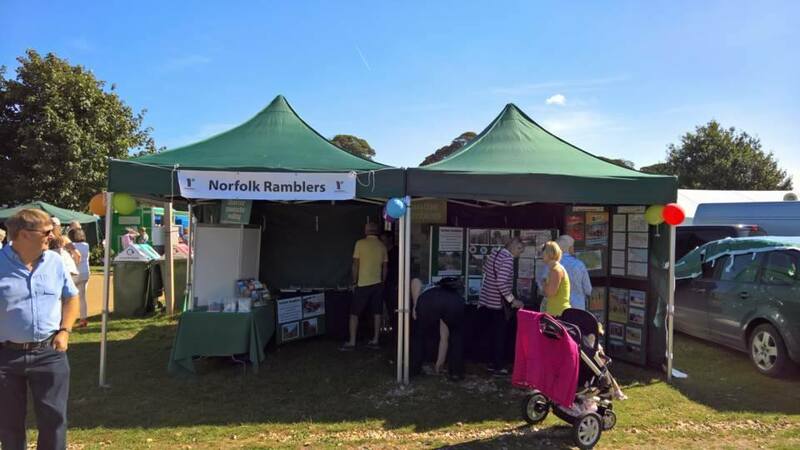 Thanks to all those who helped at our stand at the Green Build stand at Felbrigg this weekend, and to everyone who came to visit us. We had a very successful weekend, with particularly good weather on the Sunday, and it was great to see so many people. Thanks also to those who made purchases of our books, the money raised goes to help our path clearance fund. It’s always really positive to get such feedback about our work and hearing from everyone in the community about their experiences with their local footpaths and areas of public access. Thanks to Sheringham group for helping to man the stand, and other areas officers for their support! We aim to be back at the 2017 event.